Beautiful card. I love this fabulous image and doilie. 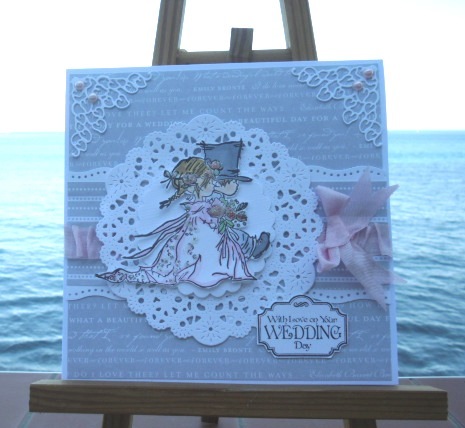 This is a beautiful card Sylvie, love how you've put the image over the doily and gorgeous corners too. Thanks for playing along this week at Cheery Lynn Designs Challenge. So beautiful!! Good Luck and thank you for sharing in the fun at Cheery Lynn Designs! Sylvie, what an adorable card and so perfect for the doily challenge. Good luck and thanks for joining in on the fun at Cheery Lynn Designs challenge blog.